But it wasn’t built for that reason at all. It is a “must visit” place if you are in Ho Chi Minh City. A trip there takes about half a day and we were worried if a trip would cause us to miss our flight. The drop-off time for most trips barely allowed us enough time for check-in. 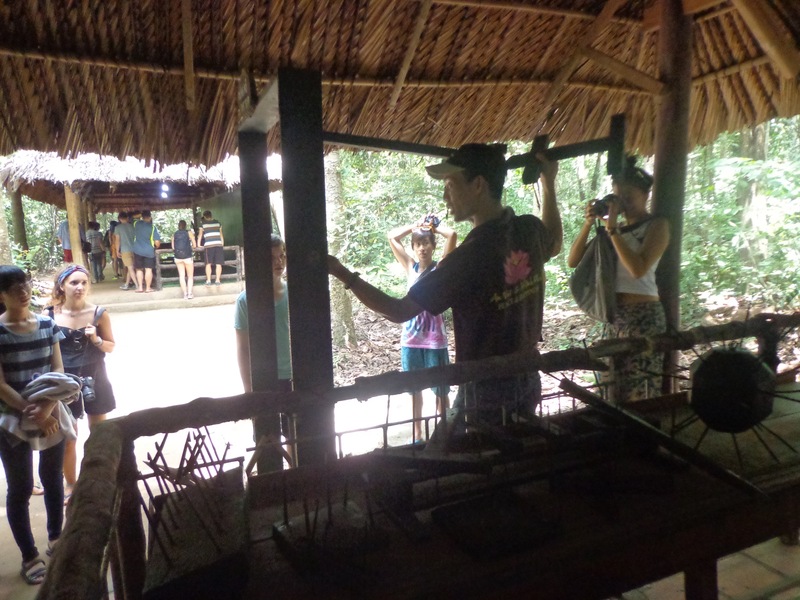 A guided tour is the best you can get for this place. 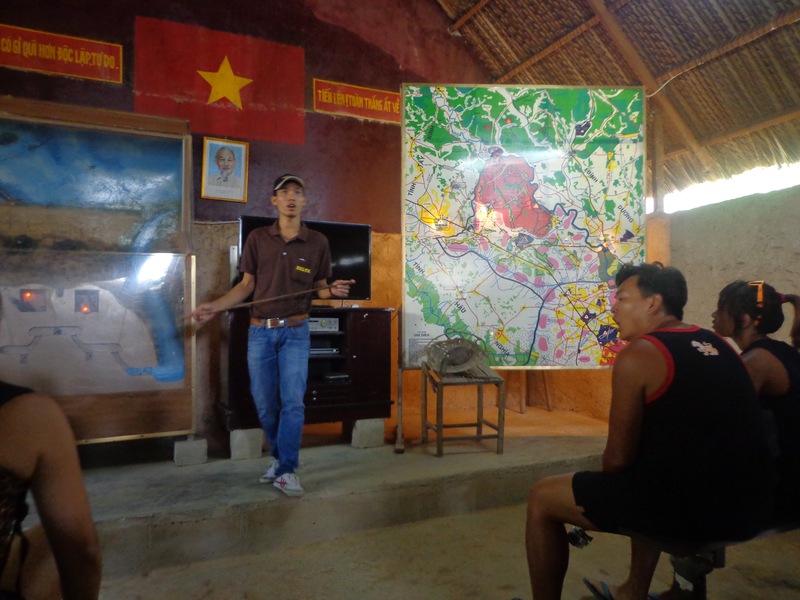 It would be foolish to roam around Cu Chi village without a guide. I believe guides are provided at the counter and that fee is included in the ticket prices. Since we had booked a half-day trip, we got a guide right from the travel agency. His name was Micky. Micky briefing us about the trip. En route, the bus stopped at a handicraft shop run by the government. 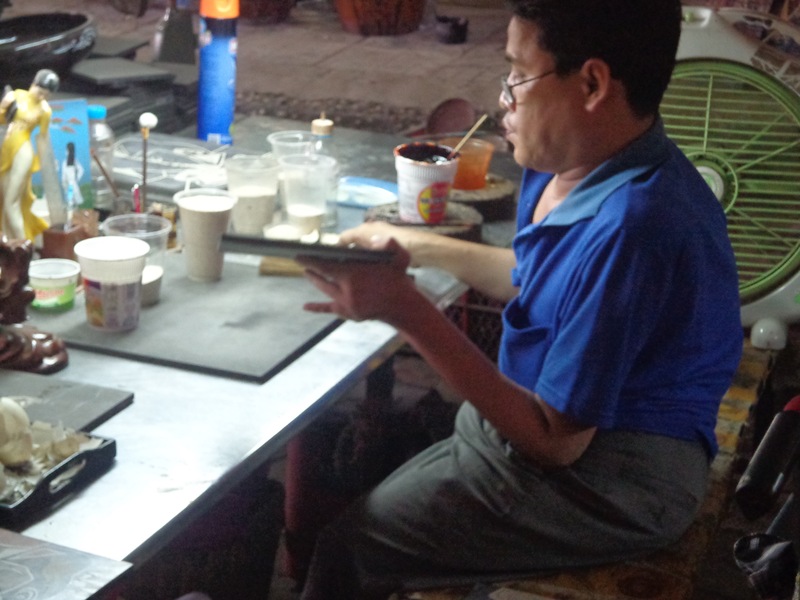 The workers and artisans are all victims of Agent Orange. The egg shell panels were amazingly detailed. No wonder they were expensive. An Agent Orange victim working with eggshells for an art installation. 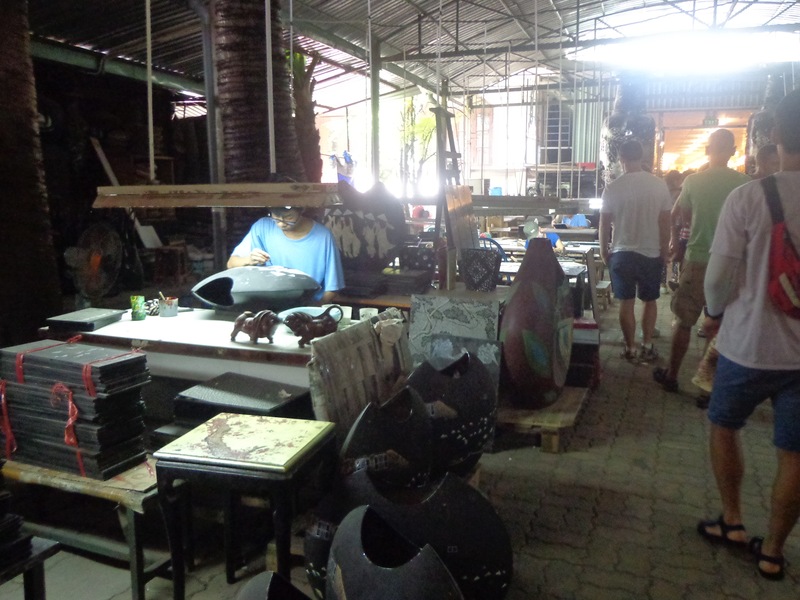 A lot of people work to create art pieces and handicrafts. The finished artworks are stunning. 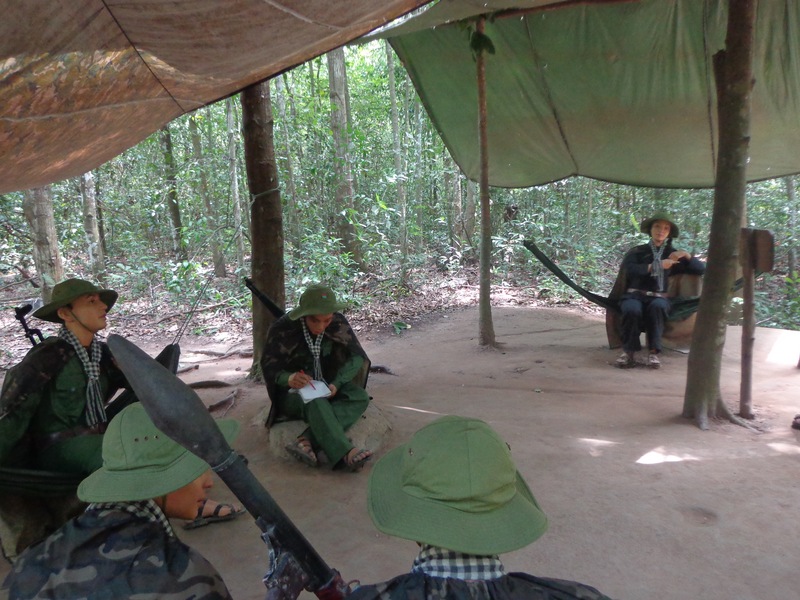 Micky gave us a lot of information about the Vietnam War (or as the Vietnamese would call it American War.) The Cu Chi village was an important base point for the Vietnamese because of its strategic location. It is close to Sai Gon, Cambodia, Mekong Delta and is the end of the Ho Chi Minh trail. This village had remained independent since they drove away the French. Micky explaining us about the area, the war strategies and the architecture of the bunkers. Mannequins depicting the Viet Cong (known as National vietnamese Army in North and Central Vietnam) in green jackets. The woman in black is a guerrilla, who worked on farmlands during the day and fought the war during night. 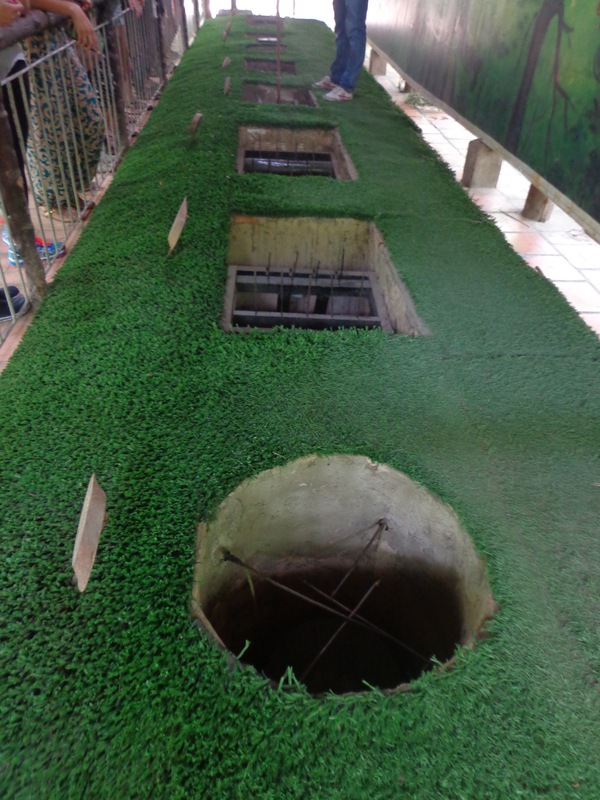 This place houses the largest network of tunnels in Vietnam. (There are tunnels elsewhere, too.) 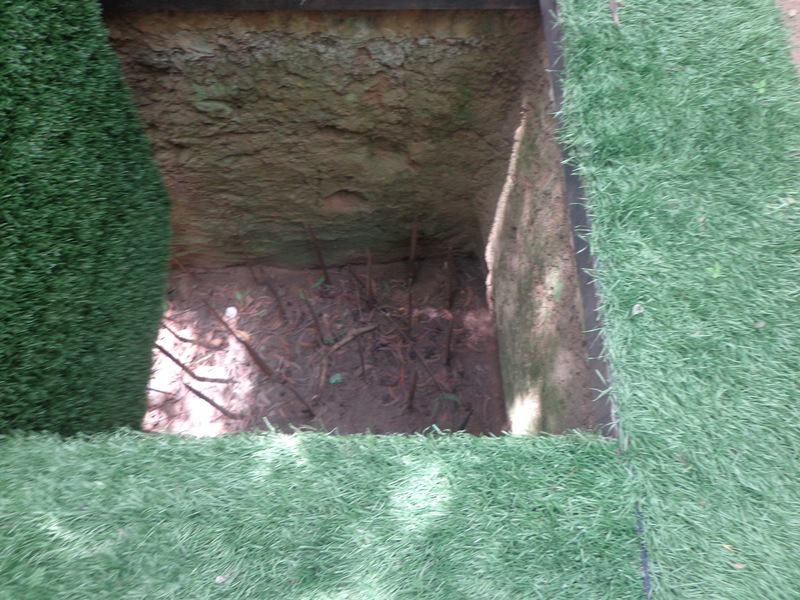 The tunnels underneath the village were dug using spades. The 250 km long tunnels were built over 17 years. They were used to fight the French even before the onset of the Vietnam War. It is said that napalm had hardened the soil so much that even bombs of the US army didn’t cause the tunnels to collapse. 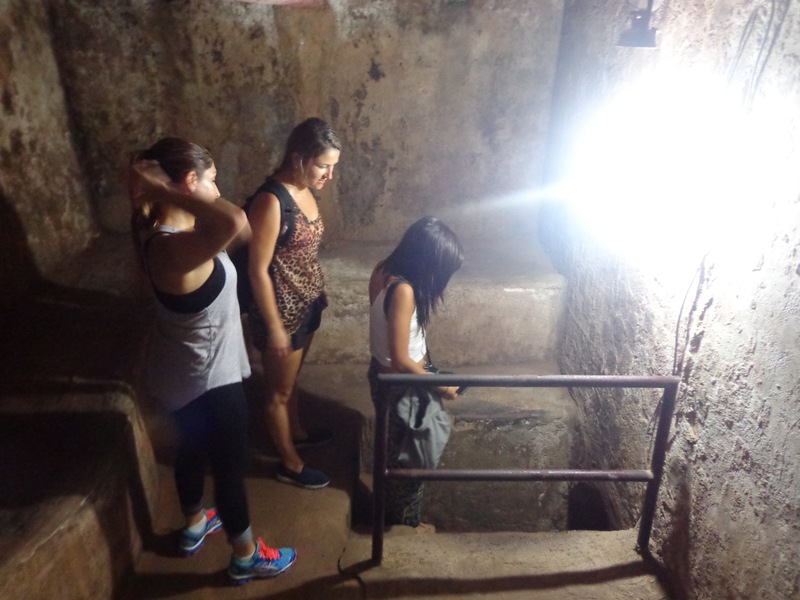 The tunnel entrances are narrow and most suited for the skinny Vietnamese people. 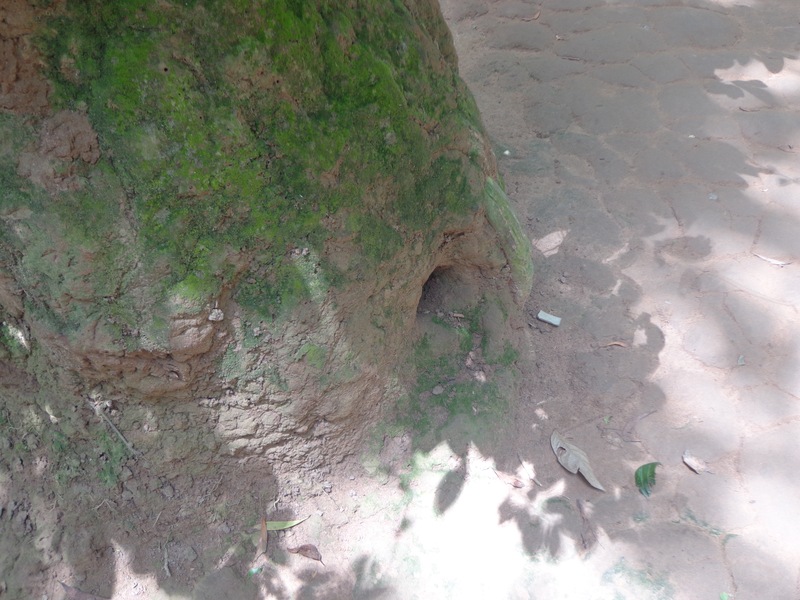 An air vent concealed underneath a clay mound at the base of a tree. Here is a booby trap. Many other kinds of operational booby traps are kept on display. Micky showing a trap on a door. I even crawled the entire length of a 120 m connected tunnel. It covered two levels and by the time I was done, I was sweating profusely. There is a severe lack of air and space. It is amazing how people lived there for years. 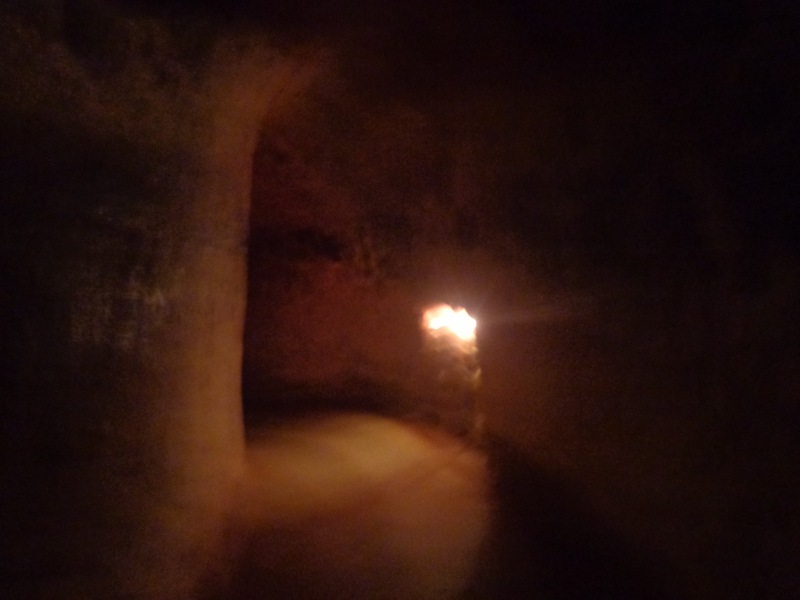 Nowadays, most of the tunnels have been closed because of safety reasons. A lot of people try crawling through the tunnels. Most people can’t complete the entire stretch. The tunnels get narrower inside. This is the interior of the tunnel. By the last 20m, I could barely crawl. The lights have been installed for tourists. 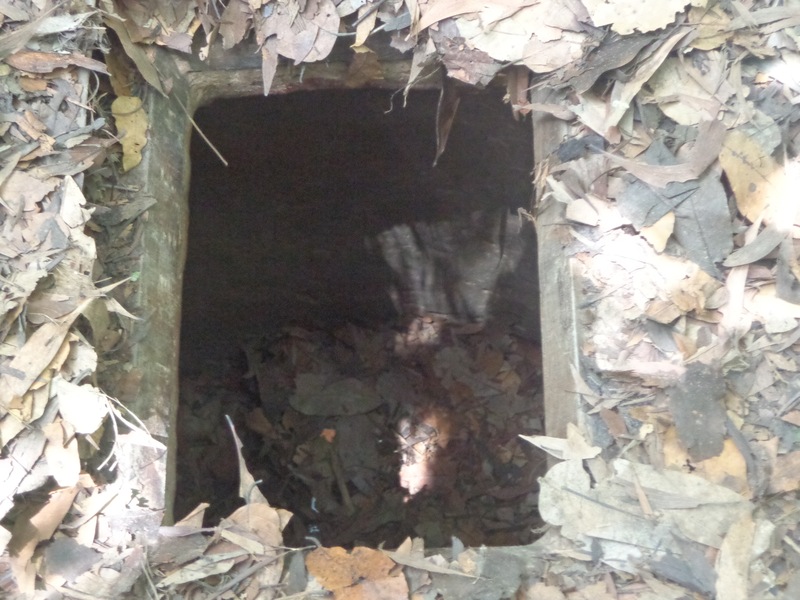 The Viet Congs crawled them in darkness. The US employed skinny asians to infiltrate the tunnels. They were known as the tunnel rats. 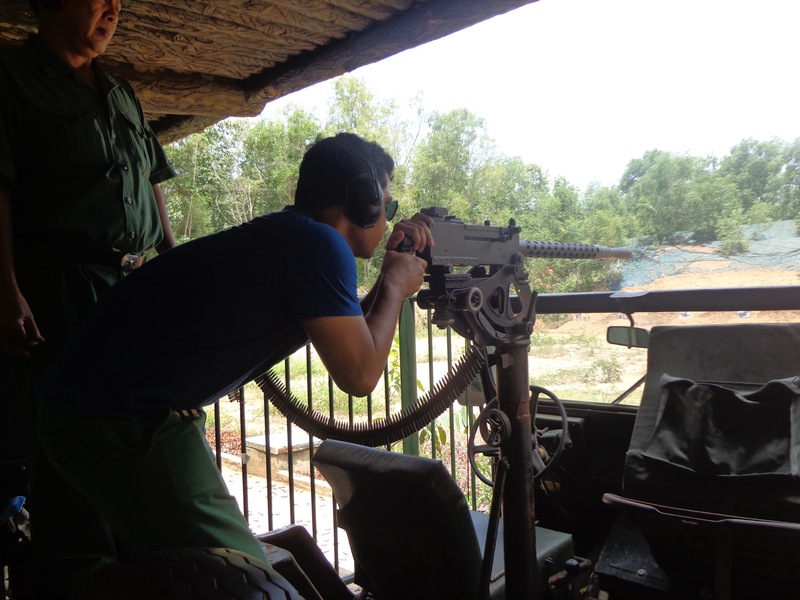 We each spent about 300k VND over 10 rounds for firing this machine gun. Here’s Nandy shooting some bullets. We were also invited to have food that the Viet Congs had when they were at war. 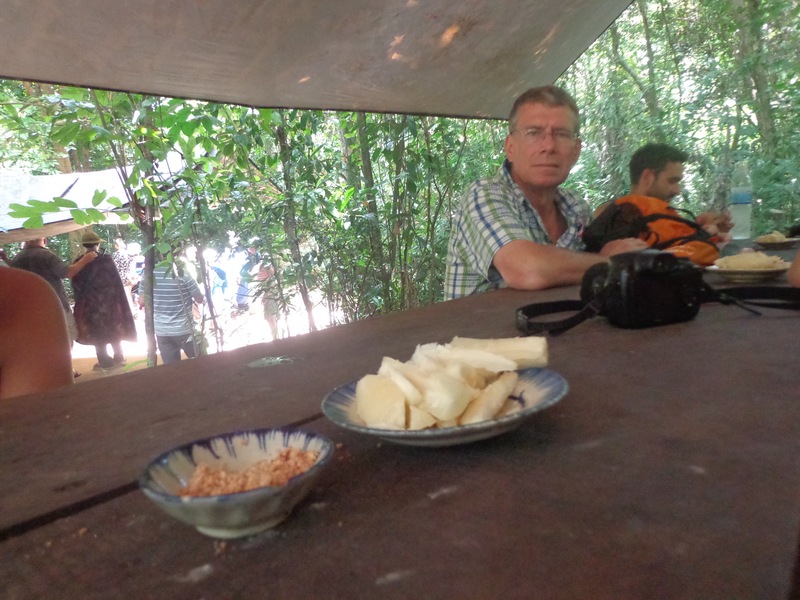 We were given some tea and boiled tapioca with salt and crushed peanuts dip. This is what the Viet Congs would survive on for days. The real freedom was not after the war was over, for Vietnam spent nearly ten years just to physically rebuild the country. There are places where the soil and water is contaminated with Dioxin. Micky said that the real freedom was thirty-six years ago when trade embargo and sanctions were lifted off Vietnam. From what I could see, they have come a long way. It’s amazing what peace and happiness can bring to people. In fact “Peace and Happiness” was the motto of the YTC travel company for whom Micky worked for. 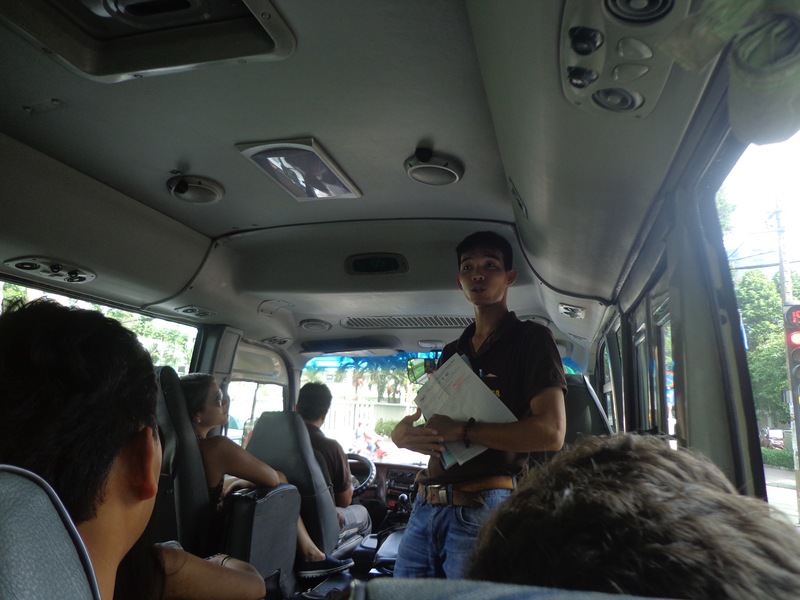 We were about an hour early to the airport, thanks to the location of Cu Chi village with respect to the city centre. The bus had to cross the airport in order to get to their office. It was a pleasant trip with quite a few new experiences. But most of all, I loved the native Vietnamese food. Ten days is too less to cover a country like Vietnam. There are a few places that I could have managed if I had another week to myself. The top two of these places would be Sapa Valley and the Mekong delta. 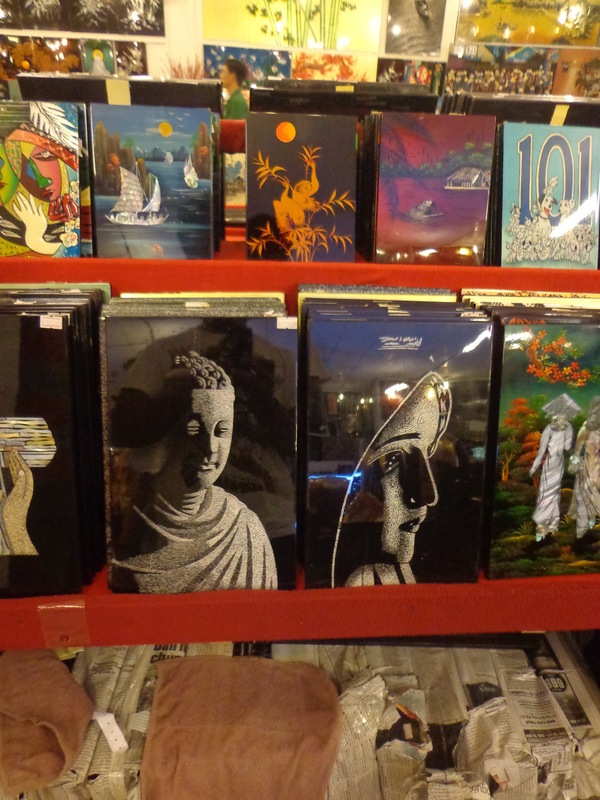 I could have even spend a few extra days in Hue and Hoi An. That kind of laid back cities are exactly my kind of places. In fact, the hospitality we received in Hue (Four Seasons Hotel) and Hoi An (Full House Homestay) were exceptional. It was not only the services provided by our hosts but also of a complete stranger like Mr. Pho. While I was on the aircraft, it started to rain heavily in Ho Chi Minh City. The raincoat I carried with me was not used at all. The Sun never showed any mercy on us in the last ten days.